Our Team and Strategic Partners : D.A. Davidson & Co.
John, a securities licensed professional since 1990, has extensive experience in providing individual investors, families and small businesses with comprehensive, tax-aware wealth management strategies. 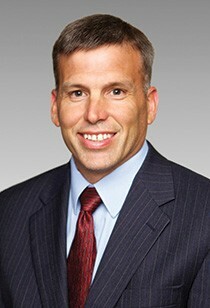 Previously, as a Vice President with Banc of America Investments, Mr. Vreeburg provided investment expertise as a select advisor working with the US Trust Wealth Management Team resulting in comprehensive solutions for high net-worth clients' balance sheets resulting in investment responsibility of over $300 million. He was also with Wells Fargo Private Client Services as Vice President/Private Client Manager and originated his investment career in his native New York with Smith Barney. Mr. Vreeburg earned his Bachelor of Arts Degree in Economics with a concentration in Business from the State University of New York at Fredonia in 1983. In 2004 he earned the CERTIFIED FINANCIAL PLANNER™ certification. The Certified Financial Planner Board of Standards grants him the right to use the CFP® mark. In addition to adhering to a strict code of ethics, he is required to obtain a minimum of 30 hours of continuing education credits every two years to retain active membership and licensing status. Our Integrated Wealth Planning Solutions Strategic Partners offer expertise in financial, estate and wealth planning. Steven Condon Senior Vice President, Co-Director of Planning, D.A. Davidson & Co.
Steve joined D.A. 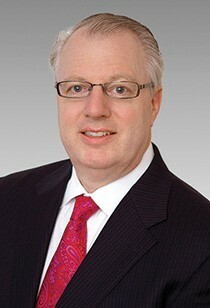 Davidson in April 2015 as Senior Vice President, Co-Director of Wealth Planning. Working out of the Seattle office, he is available to work alongside Financial Advisors and their clients in all matters relating to financial and wealth planning. He has an extensive and varied background in the financial services industry garnered over 28 years. He started at Dain Bosworth managing the cash management, insurance, and annuity programs, and ultimately served as the Director of Corporate Executive Services. He then became a partner and the Director of Wealth Management at J.C. Bradford & Company. Most recently Steve was the President of the Corundum Group, managing over $1.25 billion in assets. He received his degree in business administration from the University of Minnesota. April Zee Associate Director, Wealth Planning, D.A. Davidson & Co. In her role as Associate Director of Wealth Planning for D.A. Davidson & Co., April helps clients first explore, then more clearly identify, what is most important to them. She is then able to create holistic, tailored and objective wealth planning solutions. She helps clients understand their options and make decisions designed to constructively advance them toward achieving the family’s individual and collective goals. April has more than 14 years of financial experience and has earned a certificate as a Personal Financial Planner. She has earned her degree in psychology from the University of California, San Diego, received her master’s in psychology from Pepperdine University and has completed her course work for her doctorate in psychology from Ryokan College. Jeff Taylor Vice President, Davidson Insurance Agency, D.A. Davidson & Co.
Jeff, a resource for Financial Advisors and client’s with planning strategies that require tax-deferral and insurance related programs, has extensive experience in his profession, having worked in insurance, estate planning and investment planning since 1984. For more than nine of those years, he owned and operated his own insurance agency, The Taylor Group. Jeffrey has shared his expertise as contributing expert for the book “Wealth Management and Preservation,” with the National Network of Estate Plan Attorneys. His education includes completing work with the College for Financial Planning and Life Underwriter Training Council, and he is active in professional organizations such as the Yellowstone Valley Estate Planning Council and National Association of Insurance and Financial Advisors. Scott Haigh Senior Vice President, Portfolio Manager, Director of Managed Assets Research, D.A. Davidson & Co.
Scott joined the Managed Assets Department of D.A. Davidson & Co. as an analyst in 1998. Scott has been instrumental in the design and implementation of the department’s discretionary asset allocation programs. He is head of the department’s investment management research efforts covering mutual funds and exchange traded funds (ETFs) and serves as lead portfolio manager for the firm’s proprietary Managed Funds Portfolios (MFP) program. In addition, Scott provides due diligence, monitoring and recommendations for the Separately Managed Account (SAM) and Unified Managed Account (UMA) programs. Prior to D.A. Davidson, Scott worked as an insurance products analyst at Prudential Securities.